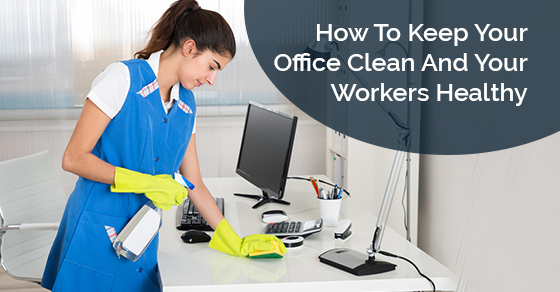 It is highly important that you take steps to make sure that your office is clean. There are a few reasons for this. First of all, a clean office will lead to happier workers. It will boost their morale, which in turn will boost their overall performance. This will translate into more profits and more revenue for your business. In addition, a clean office is a healthy office. Your workers will be less likely to get sick. If your workers get sick you will lose out on productivity. Even if you find someone to replace them while they are out, as the new person will not have the same experience. The first office cleaning tip is to make sure that you disinfect your office. This will help get rid of any germs. You should disinfect the countertops, the desks, the computers, any electronic devices, the sinks, the door handles, and generally anything that people touch a lot. The second thing that you need to do is make sure that your workers are doing their part. Now, we are not suggesting that you have your workers actually clean your office. That is not an effective strategy. It takes away from the productivity of your workers, and they are not trained cleaning professionals. However, they should be cleaning up after themselves. You should set up some basic rules for your office, such as the need to throw away anything that needs to go in the garbage and not leave it lying around on their desks. A good tip is to make a rule that workers are not allowed to eat or drink at their desks, but only in a designated area. Make sure that the bathrooms are clean. People in your office will need to use the bathrooms every day, multiple times in a day. If your bathrooms are dirty and do not smell nice, it will lower the morale of your workers and may lead to health problems. Make sure the air is clean. Let in a fresh breeze by opening the windows. Also, you should change the filters of your air conditioning system so that the air stays pure. Finally, you should keep the floor clean. To do that, make sure there is a welcome mat at the front of your office. This will allow your workers to wipe off their shoes when they come in so that your floors do not get wet or muddy. If you would like to learn more about what a cleaning service can do for you, call Sunrise-Cleaning today at 289-814-1824 or contact us here.